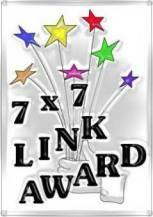 It is my honor that Iba from I Luv Cinema tagged me with a 7 x 7 Link award. Due to continuous chaos and a sick doggie, I haven’t been able to respond until now. Similar to the Liebster Award, it’s a “get to know you” award. I love these! The 7 x 7 Award highlights a blogger’s favourite pieces of work and is passed on to others so that they too can do the same as a way to promote posts and/or blogs. Unlike the Liebster, the questions do not vary, but like the Liebster, some are more difficult than others. So here we go. 1.Tell everyone something that no one else knows about you. I don’t think I’ve told very many people why I don’t like camping. By “camping” I mean, sleeping in a tent, not a cabin or a camper, and cooking your meals over a fire. My parents were really into it but it was never something I liked. Then I nearly drowned on a canoe trip in the Canadian wilderness, and that pretty much sealed the deal. Canoeing isn’t my favorite thing either. a. Most beautiful piece: I don’t know! 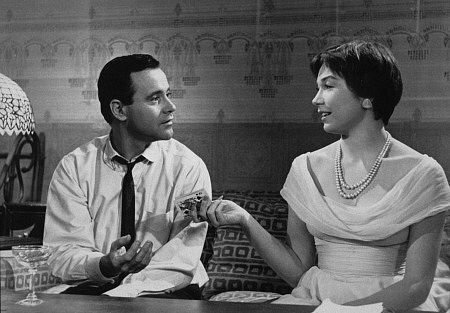 I think it’s The Best Picture Project: THE APARTMENT (1960). b. Most helpful piece: The post that I find most helpful to refer back to is The Artist: Homages, tributes & shoutouts. Not only is it a record of all the details noticed by myself and others, it also shows me how very much I have to learn about silent films. I hope other people find it helpful too. c. Most popular piece: Future Classic Movies Blogathon MEGA POST. The Future Classic Movies (FCM) Blogathon involves predicting films made in 2000 or after that will still be drawing audiences on TV, or a chip in our brains, or whatever form of communication exists, 30 or 40 years from now. These will be as old then as the ones we watch on TCM now. And my pick for the inaugural FCM blogathon…well, have I mentioned how much I like The Artist? The film’s cinematography is beautifully done by Wally Pfister, famous for his work with Christopher Nolan. d. Most controversial piece: I don’t have too many controversial opinions (about movies anyway), but there’s no question that my pick for Future Classic Movies, Round 2, Moneyball, did not meet with unanimous, or even minimal, approval. I just saw it again, and I stand by my choice 100%. 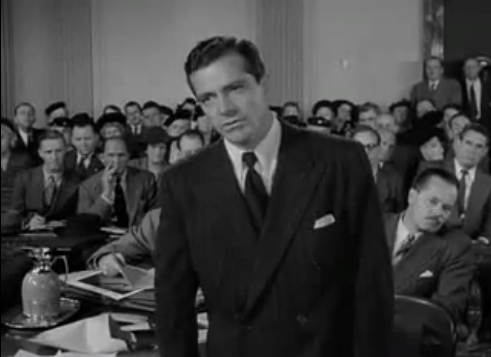 e. Surprisingly successful piece: That would be Dana Andrews Blogathon: BOOMERANG! I didn’t think this would be one of my most-read posts but I’m happy that it is because I think Andrews is really underrated and more people should see his lesser-known work. f. Most underrated piece: I don’t know about underrated, but my movie typography posts on Espionage Agent and My Man Godfrey are two of my least-read posts. g. Most pride-worthy piece: Who’s The Boss? Ida Lupino. This was a really spontaneously-written post prompted by research I was doing for TCM Party, the live tweet I run. I think it’s one of my better-written pieces; it seems to flow well, and I managed to cite all my sources. Great post, Paula. This is a challenging award. Not the accepting part, but the honest evaluation portion one must do with their work and content, and where it all fits. It’s clear you did just that. I agree with your selections, too. And, I’m with you with MONEYBALL, btw. Well done. Great responses. I need to revisit your Lupino post. I am a massive fan of hers and look to her as an inspiration to get off my rear to start on some of my ideas! I think that sometimes we find it hard to be completely honest (with ourselves) and that is why I like questionnaires like this so much. It is a proper sussing up of what goes on in our respective heads. So true, I love them. They can be tough but ultimately rewarding. Thanks again for giving me this one. Sorry again about my disinterest in Moneyball. It’s more about Pitt that dissuade me from seeing it as I quite enjoy Field Of Dreams that also has a baseball theme. I really don’t know if I’ll ever get over my aversion to him, ahah. I see that LOL There is nothing to apologize for, we just agree to disagree. I always liked Pitt as a person but I never used to see him as a brilliant actor until Basterds, and it seems like most of his fans hate that one. You don’t like Ocean’s Eleven or Mr. & Mrs. Smith? Oceans movies are ok, but it’s more of an ensemble piece. I did like Mr & Mrs Smith as I used to be a big fan of Jolie, I even watched GIA on her account as I was so fascinated w/ her. But the whole Brangelina thing just turned me off both of them so much. I know it’s more of a media creation but I think both of them fueled the fire a bit for publicity. Not sure what either/both had to with all the publicity but I think it turned off a lot of people eventually. I really like Mr. & Mrs. Smith. I think it’s actually another one of those movies where I stop to watch it no matter what. I’m a big fan of Inglourious Basterds, too, Paula. Cool! It’s really odd for me to like something that is so violent. I think it’s a combination of factors that earned it its place on my phone. 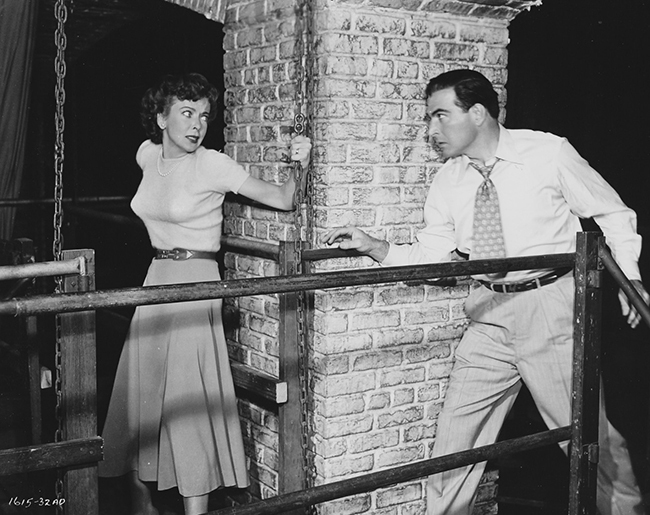 I was referring to the my love letter review of Mr. & Mrs. of awhile back (not necessarily the Sunbaked Noir piece, but I’d love to have your thoughts about it, too). I really enjoyed reading this post… And I want to say that I absolutely love the movie (and the book) “Moneyball”. Such a great movie! Honoured to be chosen. I’ll do my part as soon as possible. It’s a fun little award, for sure. Also, I like that you highlighted The Apartment — love that movie!